We’ve gathered together an extraordinary mix of our favourite swimming pools around the world – from pools set within a shark tank to heart-wrenching glass-bottomed pools. 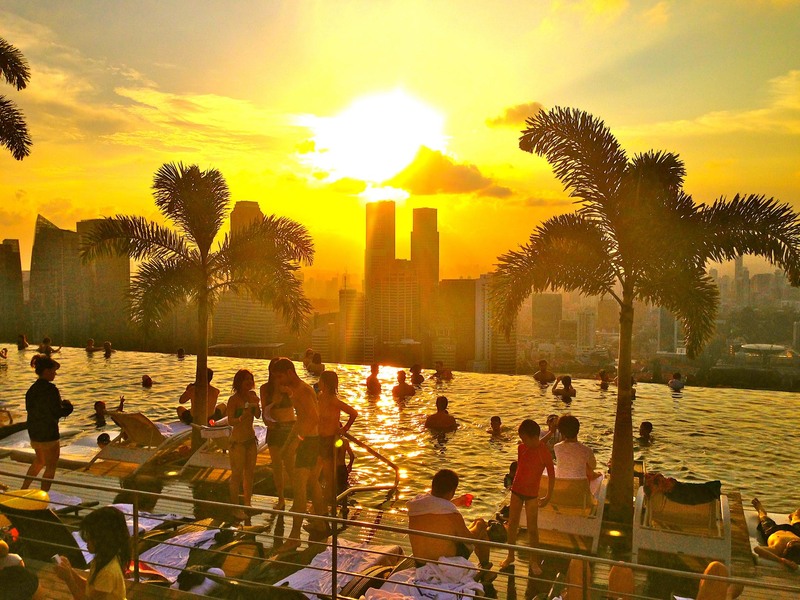 Perched high above the streets of Singapore, the Skypark at Marina Bay Sands Resort offers an incredible infinity pool with a view over the city. 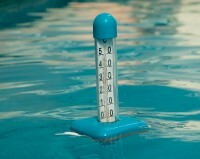 Situated 55 floors above ground level, the swimming pool is said to stretch as wide as the length of the Eiffel Tower. 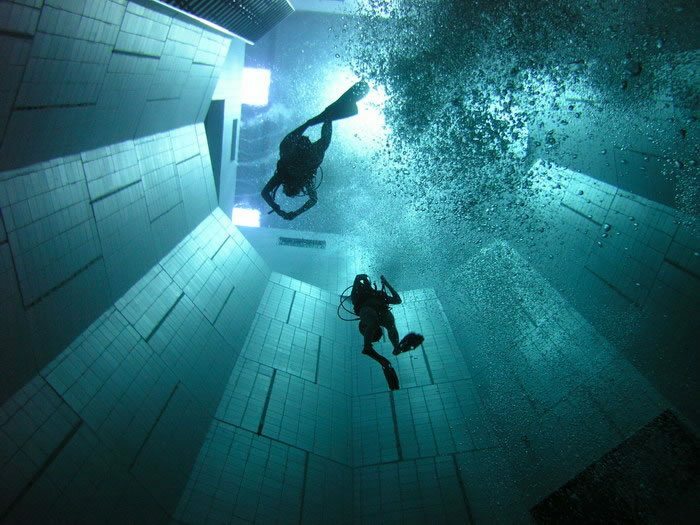 Nemo 33 was once the world’s deepest swimming pool. Today, this pool in Brussels still holds claim to the deepest indoor pool at a staggering depth of 108 feet. Kept at a warm 96 degrees Fahrenheit, the pool has the perfect conditions for divers who can explore the underwater caves without a wet suit. The adrenaline-inducing Devil’s Pool is perched at the edge of the mighty Victoria Falls, one of the largest waterfalls on earth. 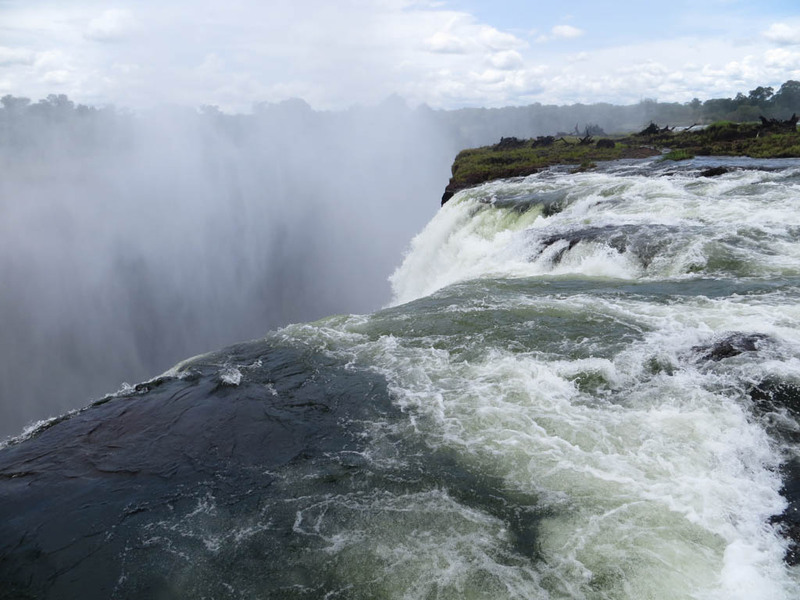 Those who dare to swim in this alarmingly unsecured pool can enjoy incredible views over the thundering falls and towards the Zambezi River 128 metres below. Fancy a swim in the world’s largest swimming pool? The San Alfonso del Mar Seawater Pool in Algarrobo is the largest outdoor pool on earth stretching for one kilometre over 20 acres of land along Chile’s coastline. 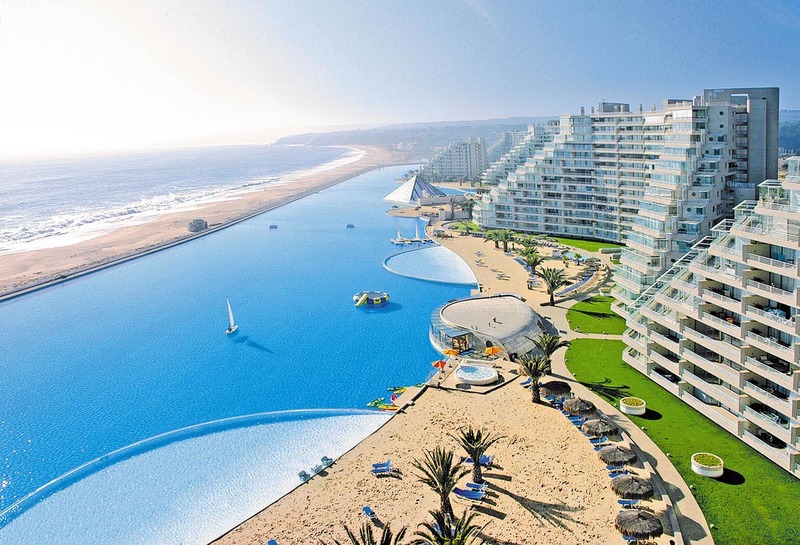 This enormous swimming pool holds a total of 66 million gallons of water at one time. 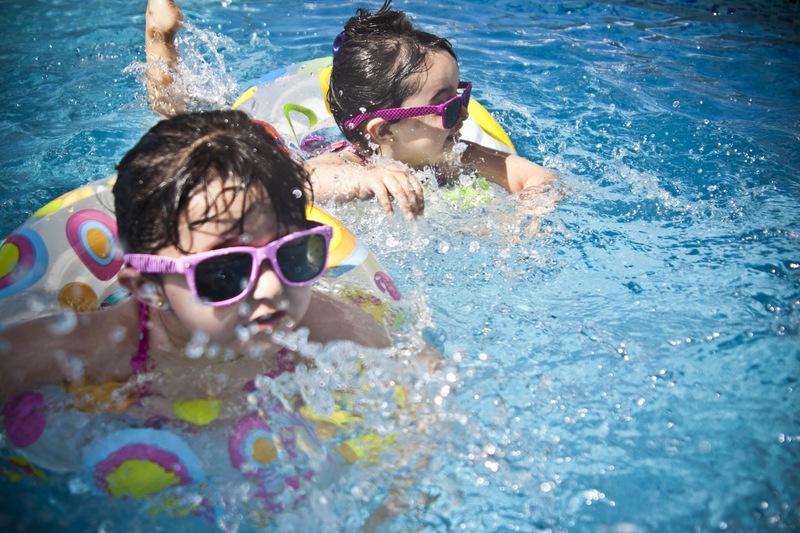 Adrenaline junkies will love a chance to take a dip in the swimming pool at the Golden Nugget casino in Las Vegas. 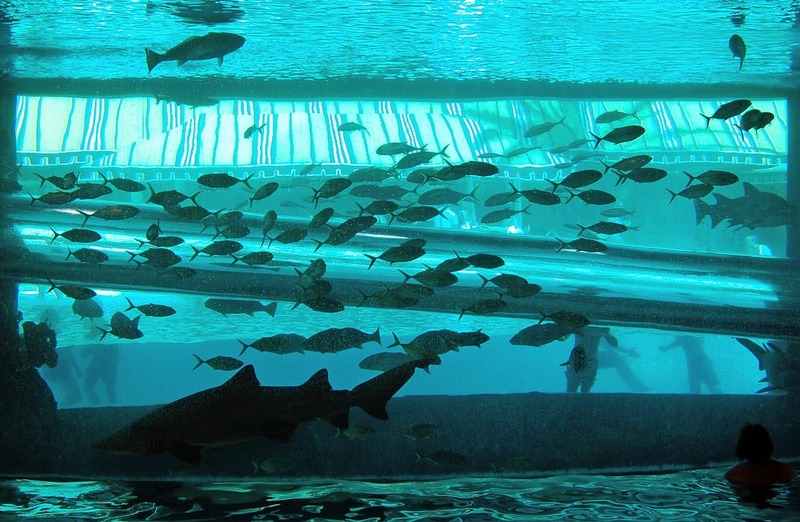 Formed around a glass marine tank filled with sharks and other fascinating marine life, you’ll feel as though you’re swimming alongside them – with nothing between you and these fascinating underwater creatures. Don’t forget to test out the three floor water slide that shoots down through the middle of the marine tank. 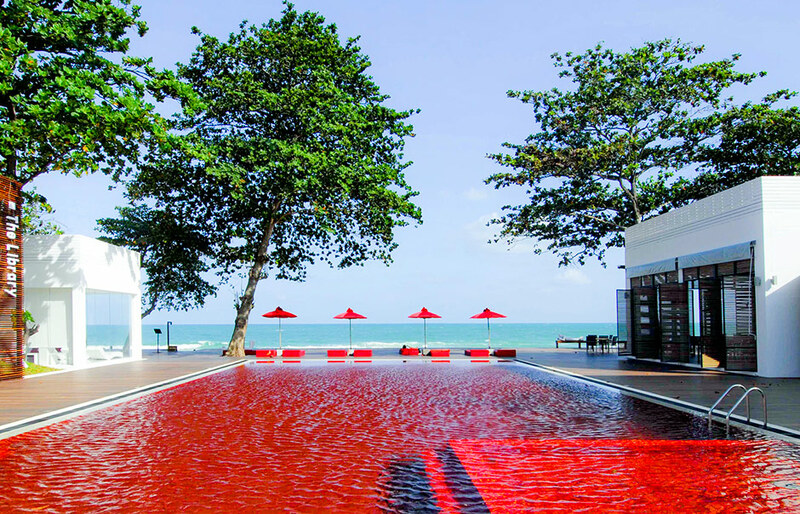 The Library Pool in Koh Samui is famous for its unusually deep, blood red colouring. 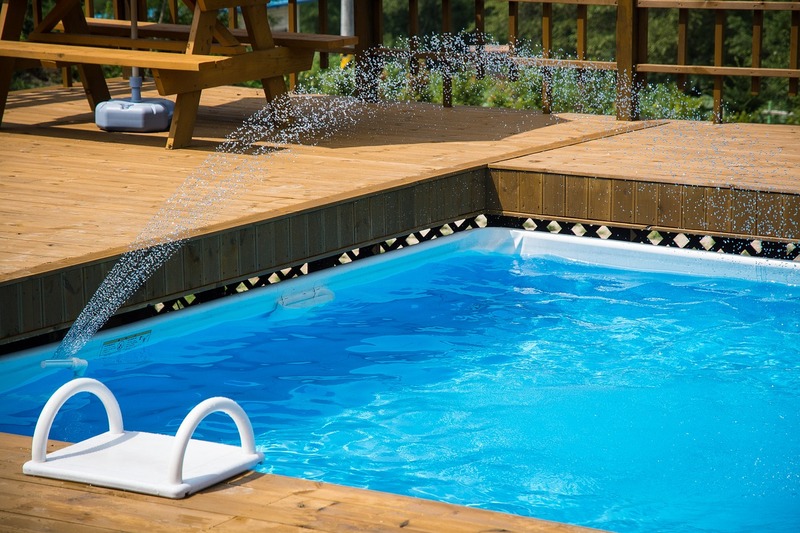 However, contrary to what your eyes may see, you will be pleased to know the water itself is crystal-clear and will not stain your swimsuit red. This unusual swimming pool gets its colour from the orange, red and yellow tiles on the bottom of the pool floor. 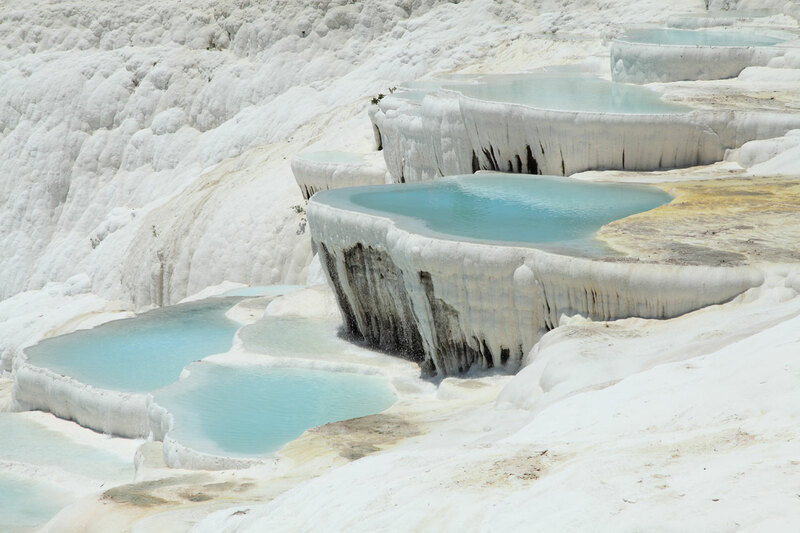 Turkey’s white terraced pools in Pamukkale are an incredible sight to see and their warm waters attract tourists from far and wide. 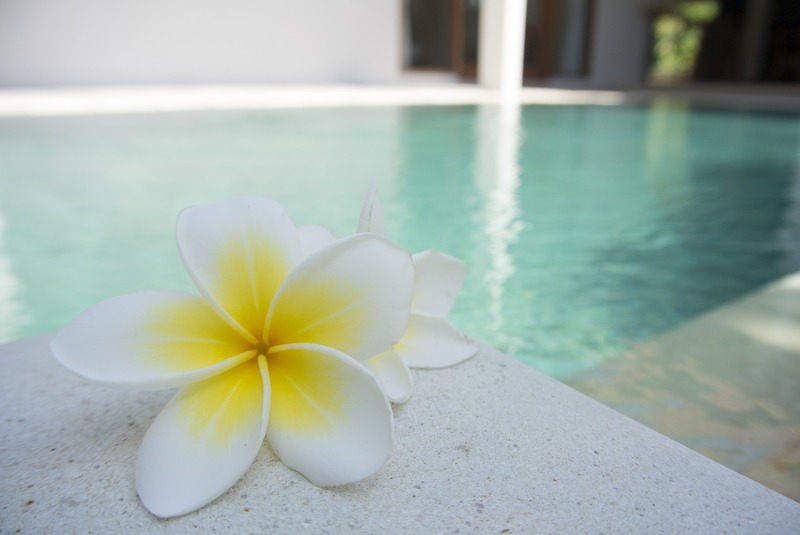 Crystal-clear water mingles with bright calcium and limestone deposits known for their therapeutic qualities. You can also soak in the natural hot springs in the ancient Greek-Roman city of Hierapolis. 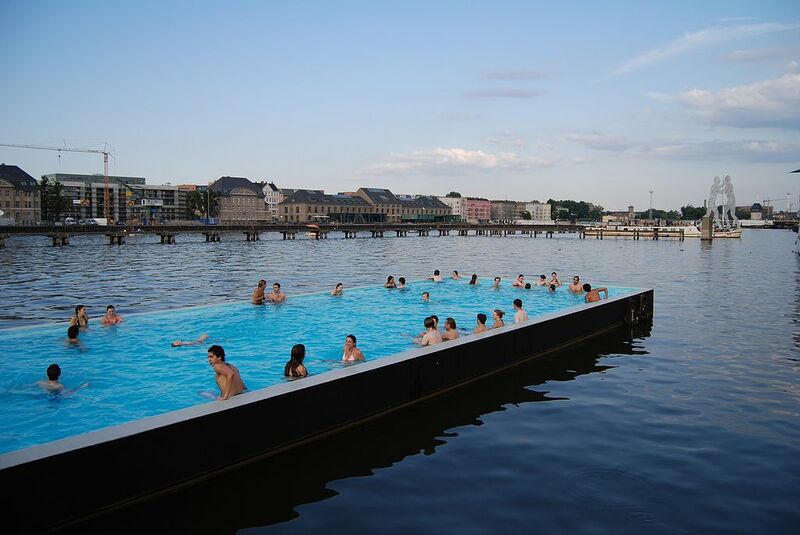 The Badeschiff (bathing ship) in Berlin is a swimming pool that has been created out of a former shipping container in the Spree River – a river filled with too much pollution to swim in. When night falls, this unassuming swimming pool turns into a party venue with DJs playing until the early hours of the morning. 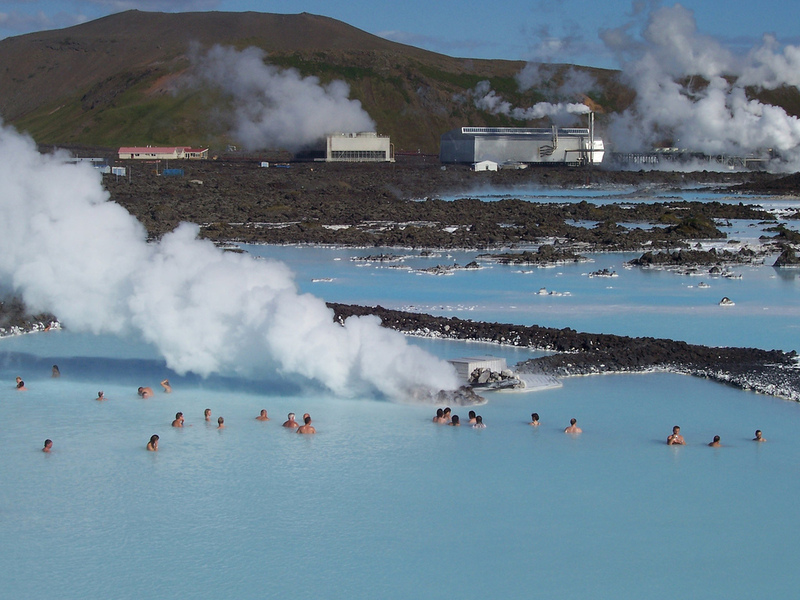 The Blue Lagoon is one of the most beautiful natural swimming pools on earth. One of the 25 Wonders of the World, this natural geothermal pool is set in the middle of Iceland’s steamy landscape and is one of the best places to witness the Northern Lights. This swimming pool at the Holiday Inn Shanghai Pudong Kangqiao is one of the most extraordinary swimming pools on earth – offering a glass bottom so swimmers can see the view directly below them. Stretching 100 feet over the street below, swimmers feel as though they are swimming in mid-air, an electrifying 24 floors above the ground. 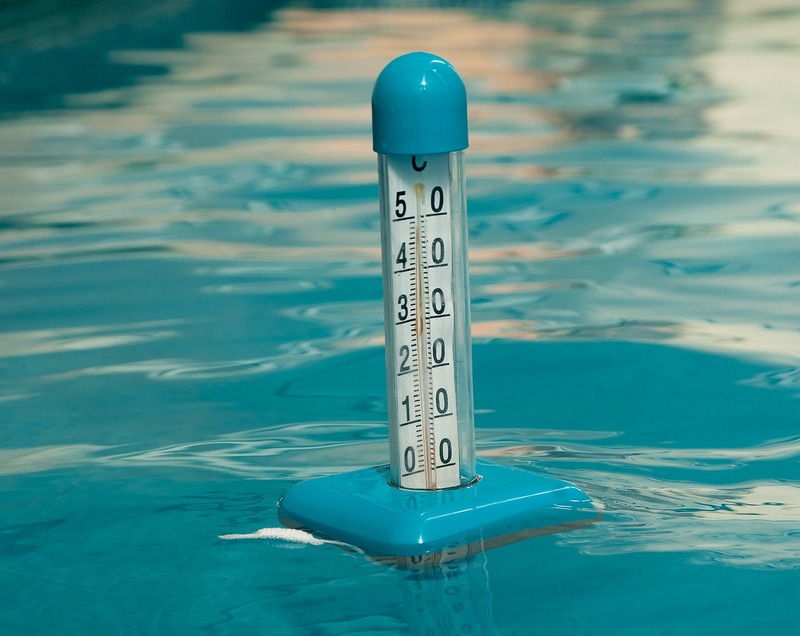 What other unusual swimming pools would you like to swim in? Let us know in the comments below.